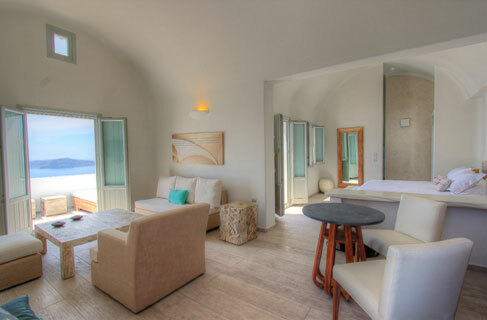 Four brand new suites bathed in sunlight, in an idyllic setting in Firostefani overlooking the whole caldera. Relaxing decoration in wonderful beige and white colour nuances and themes inspired from the landscape of Santorini. Let yourself relax in the Jacuzzi. The suite on the first floor stands out for its comfort and finesse.